Posted: Thursday 23rd May 2013 in Owned and earned media, Thought Leadership. The 2013 day of reckoning for SEO has arrived! Overnight Matt Cutts, Google’s head of webspam, announced the release of Google Penguin 2.0. 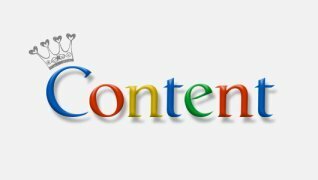 It is the latest and biggest update to Google’s spam-fighting algorithm since its initial roll out in April 2012, and from Google’s own estimates it is expected to affect 2.3% of English Language search queries. The first iteration of Penguin was 2012’s most prominent change to their natural search algorithm, impacting 3.1% of search queries. Amongst other changes to tackle webspam, Penguin 1.0 impacted blackhat SEO tactics such as keyword stuffing both on site & within backlinks, low quality article marketing, and aggressive usage of exact match anchor texts. Google’s motivation for Penguin 2.0 is no different from previous updates. The ultimate goal is to ensure that Google users find the best and most relevant sites quickly and easily. We’re currently analysing the of the impact of the update for our clients and will share these findings and our recommendations via our blog and Retail insights channel on YouTube within the next week.